With winter right around the corner, many homeowners are taking steps to prepare for the dropping temperatures. Whether you live on the east coast, west coast or somewhere in between, the winter season can wreck havoc on your home’s water pipes. It’s not uncommon for washing machines pipes to freeze up during this time of year, making them susceptible to bursting. When this occurs, it can be both expensive and time-consuming to repair. So, how do you prevent your washing machine pipes from freezing during the winter? If frozen pipes are a common occurrence in your area, you should consider insulating your washing machine pipes. Most home improvement stores, including Home Depot and Lowes, sell insulation designed specifically for water pipes. The foam-padded insulation is wrapped around the pipe, offering a barrier of thermal protection from the blistering-cold winter temperatures. The golden rule to prevent pipe freezing in the winter is to turn on a faucet at night, allowing it to drip just slightly. You don’t have to turn every faucet on, as just a single one should suffice. Doing so will release the water pressure, keeping the water moving continuously through the pipes. Moving water requires exceptionally cold temperatures to freeze; therefore, a dripping faucet will protect your washing machine pipe – and other water pipes in your home – from freezing. Another preventive measure homeowners can take to reduce the risk of their washing machine pipes from freezing is to use a space heater. If your washing machine is located in a poorly insulated laundry room, for instance, try placing a space heater nearby. By directing the space heater towards the back of the washing machine, it will keep the water pipe warm. If you plan on going away for any prolonged length of time, turn the water to your washing machine off to prevent the pipes from freezing and bursting. 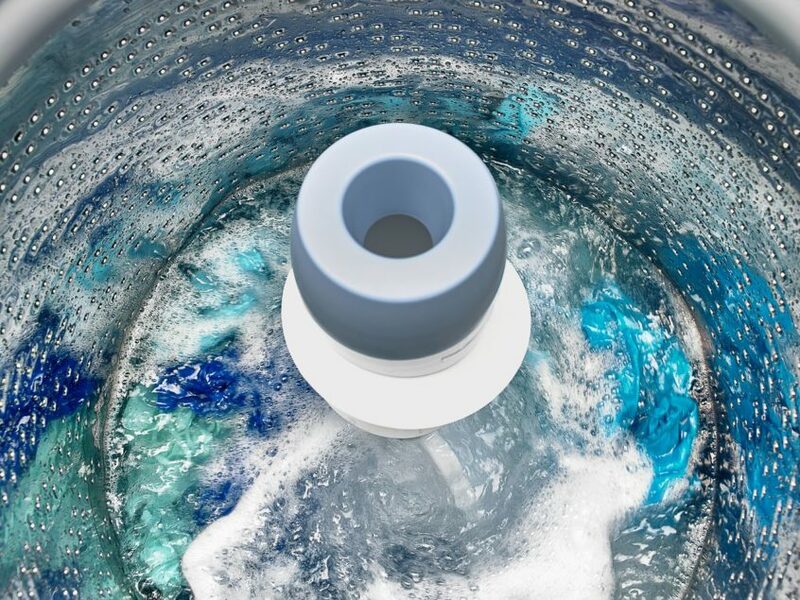 Look at the rear of your washing machine and you’ll see two knobs: one blue and another red (usually). Turn both of these knobs in the opposite direction to disengage the water. Following the steps mentioned above should protect your pipes from freezing. Just remember to insulate the pipes (if they aren’t insulated already), let a faucet drip, and use a space heater on those exceptionally cold winter nights. And if you plan on going away, turn off the water supply to the washing machine.